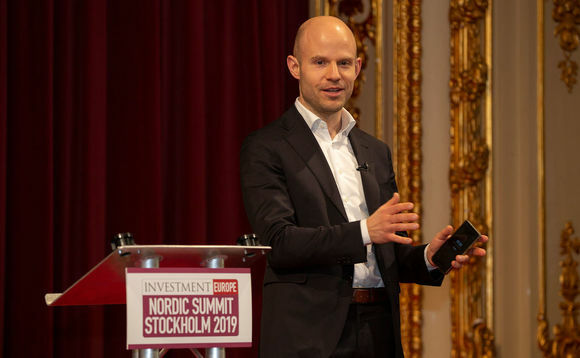 Johan Eriksson, leader of the organisation for innovation and branding within Google and part of the management team for Northern Europe, provided the dinner keynote to the InvestmentEurope Nordic Summit Stockholm 2019, urging financial professionals not to forget to give themselves time to continue learning - or risk being left behind by the increasingly rapid pace of change being wrought by digitalisation. Speaking to delegates, he illustrated the disruption taking place by pointing to the advent of 'smart clothes'; where sensors woven into fabrics are leading to innovations such as the ability to monitor elderly or sick people prone to falling over. The clothes they wear can measure signs of a pending fall and issue a warning to the wearers or advise clinicians to intervene. However, computers cannot do everything themselves. "It's an 'and' story," Eriksson stated; adding that people still very much will be required to do jobs, but that they will need the required skills. The value of artificial intelligence and machine learning is beyond question. He pointed to Google's own experience seeking to manage the power used by its own server centres. By handing over responsibility for monitoring power useage to an AI programme, the company saved 40% of power. For people, this means a need to learn faster than things change. This is the only way to guarantee remaining in employment. But this depends on committing to time needed to keep learning, he advised. Learning requires investing both time and resources. Eriksson referenced the '5 hour rule' in which five hours per week are dedicated to learning. Google requires some of its employees to dedicate 25% of time to learning, elsewise they will not be able to claim they continue to be experts in their particular areas. "Ask yourself what you need to learn," Eriksson asked the audience. He reommended starting with a dedicated 10 minutes per week to ponder what has been learned in the previous week and what learning may be sought in the coming week. For businesses, learning is critical if they are seeking to bring innovation to market, he argued, but the challenge is bringing learning goals together with innovation goals, such that they overlap in the best way possible. InvestmentEurope is tweeting from the event and will publish a full event report in the upcoming issue of the magazine.